Release the flow from the new Mk8 Fiesta ST with this GPF Delete Pipe from the guys at Milltek Sport. Suits both 3 and 5 door models. The GPF on the Fiesta ST Mk8 is a restriction within the exhaust that stops power lifting above our current MAXD Stage 1 limit of approx 235bhp. 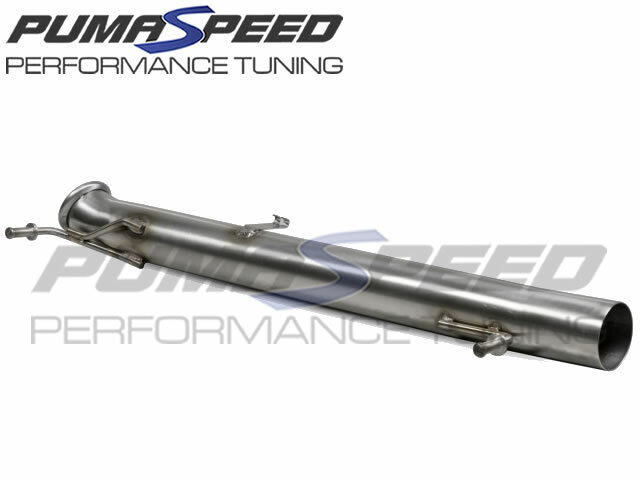 This GPF delete pipe combined with MAXD mapping releases additional power from the Mk8 Fiesta ST whilst increasing and improving the noise, when combined with the Milltek GPF back valved exhaust, the noise from this 3 pot car is epic! Please be aware that in many EU countries the pipe is only suitable for track use and is not permitted to be used on the road for emission regulation purposes. The Pumaspeed Workshop team are ready to fit the Milltek Fiesta ST Mk8 GPF Bypass Non-Resonated in our Head Office located here. Therefore making parts and labour a total cost £295.99 (inc. VAT). Pumaspeed have a specialist distribution team that can dispatch the Milltek Fiesta ST Mk8 GPF Bypass Non-Resonated to any destination worldwide.